Outdoor Revolution’s Four Berth Inner Tent provides a convenient means of creating an additional sleeping area in your drive away awning, to increase the sleeping capacity by four, compatible with a selection of models (see Technical Specification); perfect for accommodating two double air mattresses, for sleeping unexpected overnight guests. Are you looking for the Four Berth Inner Tent? Outdoor Revolution’s Four Berth Inner Tent provides a convenient means of creating an additional sleeping area in your drive away awning, to increase the sleeping capacity by four, compatible with a selection of models (see Technical Specification); perfect for accommodating two double air mattresses, for sleeping unexpected overnight guests. 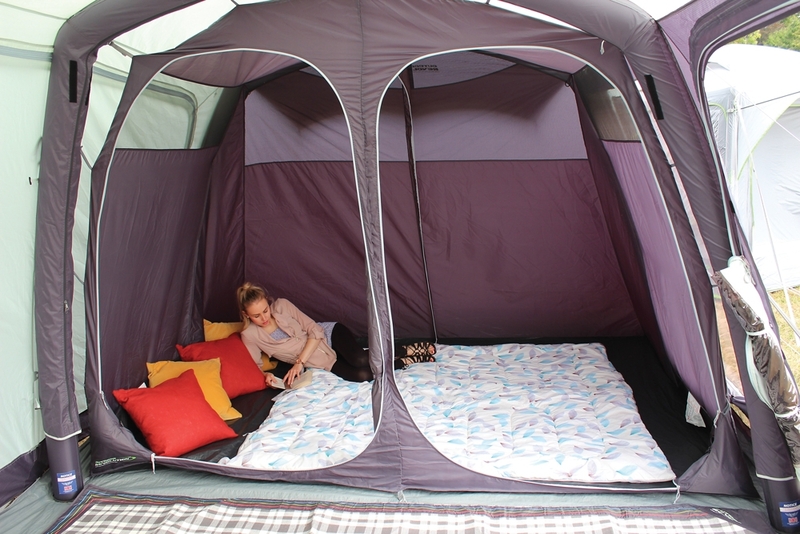 The quad inner tent also comes complete with an inclusive divider to split the sleeping area into two individual bedrooms, which is deal for families with mixed children. We have produced the inner tent using our ‘twilight’ micro-polyester for optimal internal breathability and air circulation; this is much darker in colour than in previous years, to cut out on exterior light and help you attain a deep, cosy, and uninterrupted sleep by nature. 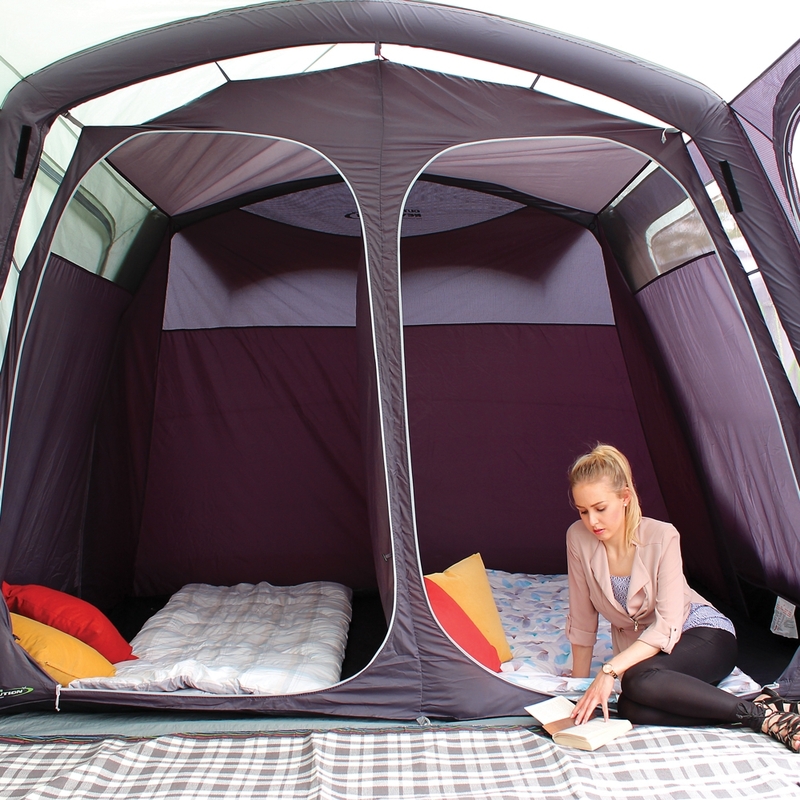 The corresponding coloured loops in your model, which this inner tent can effortlessly be clipped in and out of, are typically situated in the rear section of your product, in order to maintain comfortably dim conditions, creating a more relaxing evening atmosphere, whilst preventing you from being blinded by light early in the morning. A PE groundsheet has been fully sewn in for further waterproofing and comfort. We have implemented Phoenix Mesh in both the ventilation points and zip-back fly screen door panels, to keep insects at bay, whilst maintaining a consistently pleasant internal temperature and through flow of air, designed to reduce humidity and condensation. This is crafted from an assisted-healing ‘smart’ material, with the structurally incorporated ability to repair snag damage, typically caused by consistent usage. Simply manipulated, the mesh will then return to its original form.